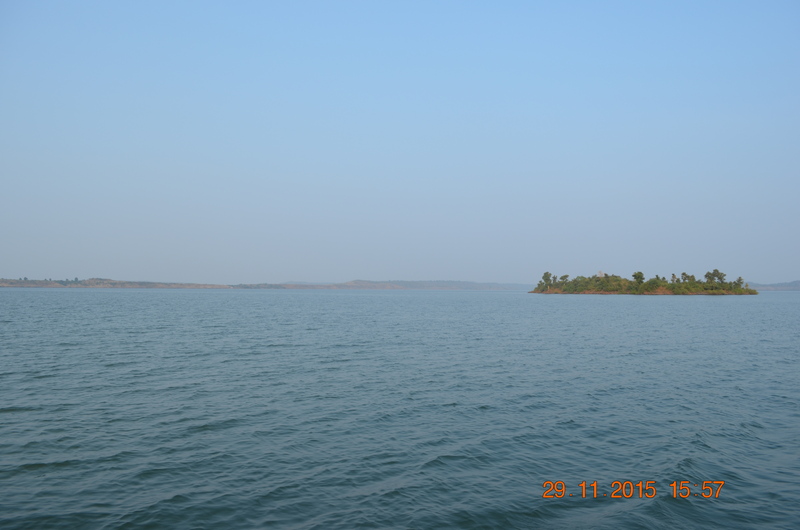 The mighty Narmada, as seen from the cruise boat. 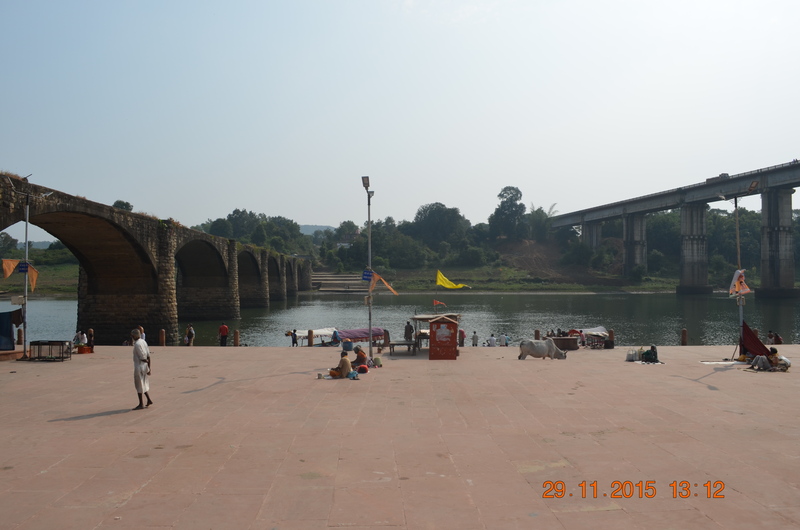 Tilwara ghat: on left is the British-era bridge, on right is NH7 bridge. As soon as my husband got his transfer order to Jabalpur, the very first thing we did was to jot down the places to be visited around this city. After a great experience at the Dhuandhaar waterfalls, we managed to get some free time to visit Bargi dam 2 weekends ago. 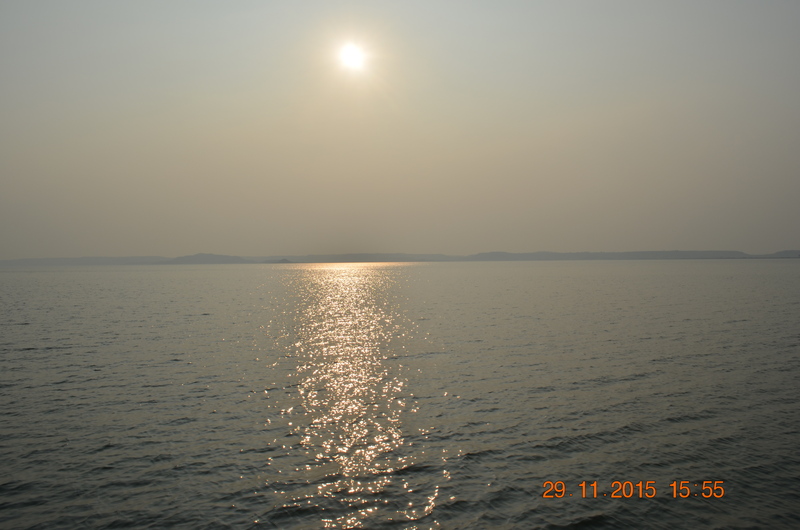 The cruise on the mighty Narmada near this dam is one of the well known tourist attractions. 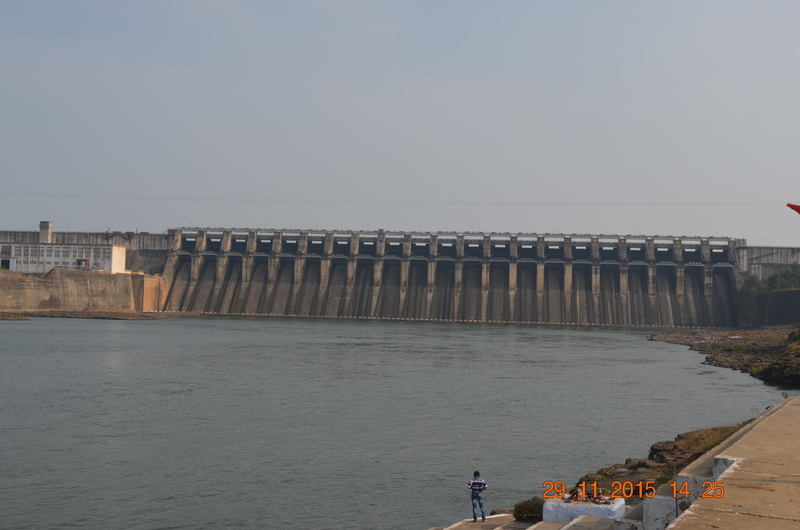 Bargi is also among the first of the 30 dams constructed on Narmada in Madhya Pradesh. It is around 30kms from Jabalpur. We started off at 12 pm on a pleasant afternoon. Google Maps again did a googly and one wrong turn took us into the restricted Cantonment area. From there we were rerouted and accidentally reached the Tilwara ghat. The ghat looked very beautiful and was surprisingly clean. Many people might be unaware of the historical importance of this place – some portion of Mahatma Gandhi’s ashes were immersed here in 1948. There are 2 bridges over this ghat. One was built during the British era, now used only by the local people as a foot bridge. The other one is along the NH7. We finally reached our destination by 2:30 pm. The Maikal resort is a lakeside hotel managed by the Government near the Bargi dam. Boating and other water sports are managed from here. Its restaurant faces the vast Narmada reservoir. We had our lunch of Chole bhature and Rajma chawal and proceeded for boating. These cruise boats are many times given on rent for parties. Throughout the journey, Bollywood party songs were played on which many people were dancing and enjoying. Some were busy clicking pictures all way! 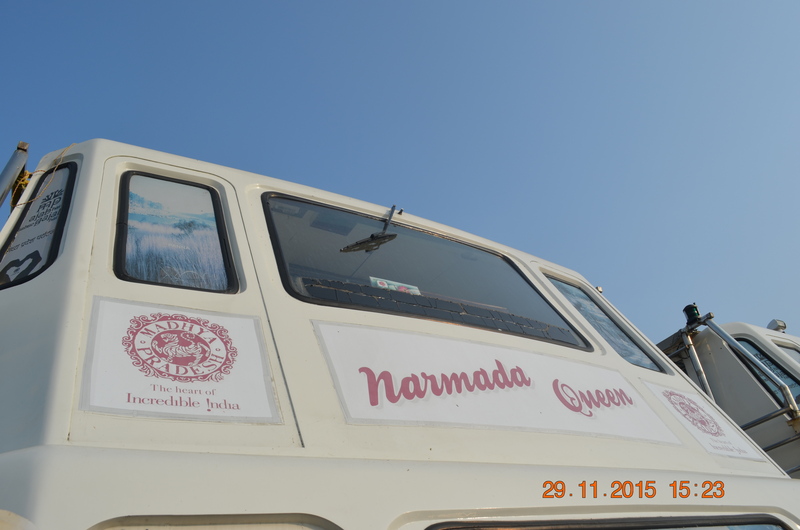 Our cruise boat, the Narmada Queen.